Grosvenor Casinos is building on the success of its latest season by announcing next year’s schedule and a host of low stakes innovations. As the GUKPT Grand Final drew to a close on November 25, Grosvenor Casinos has outlined its plans for 2019. 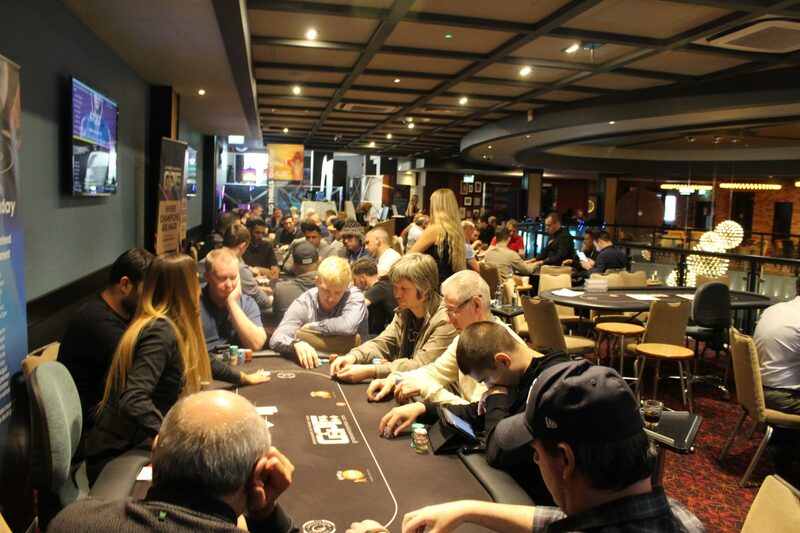 At the top of the bill is the thirteenth season of the GUKPT, which will consist of nine legs featuring tournaments with guarantees topping £500,000/$642,000. The decision to push its guarantees to $642,000 is a result of the tour’s success in recent years. Following a slump between 2011 and 2014, GUKPT attendance figures have rallied, with this year’s Grand Final attracting its second largest ever field, despite missing one of this season’s champion. Alongside a more lucrative GUKPT, the 25/25 will return in 2019. A low stakes tour where guarantees are set at $32,000 and buy-ins at $289, the 25/25 is seen as a stepping stone to the GUKPT main tour. Next season, Grosvenor Casinos will be offering players the chance to ante-up online as well as live. Following a trend that’s becoming popular in the UK, Day 1 of all 25/25 main events will take place on GrosvenorCasinos.com. Also returning in 2019 will be the UK Student Poker Championship (UKSPC) and the Goliath. After retaining its title as the largest live poker tournament outside of Las Vegas in 2018, Grosvenor Casinos will be hoping for more of the same next year thanks to the presence of David Haye. In a bid to increase interest in the record-breaking event, the gaming operator signed a sponsorship deal with the former boxing champion. As part of the promotion, Haye will learn to play poker from scratch before sitting down in 2019’s Goliath alongside 7,000+ players. Rounding out the schedule will be two new events aimed at low stakes players. The Deepstack will offer an alternative to the 25/25 with prizepools of at least $15,400. For a $192, players will have the luxury of longer blind levels and larger starting stacks. In addition to Deepstacks, Grosvenor Casinos is launching a national league. Open to anyone that plays a tournament inside one of Grosvenor’s live venues, the national league will be a chance for regulars to win a selection of prize packages. Although the full details haven’t been released, Grosvenor has said that players will earn points based on their performances in any tournament with a buy-in of £100 or more. The top performers at the end of the year will get free entry to various GUKPT events in 2020. For poker players in Europe, 2019’s poker schedule is shaping up to be bigger than ever. Although the market isn’t as buoyant as it was during the initial poker boom, there are more opportunities now than there have been for a number of years.